The Covered Bridge originally built in the Middle Age was bombed in World War II and was rebuilt after the war. 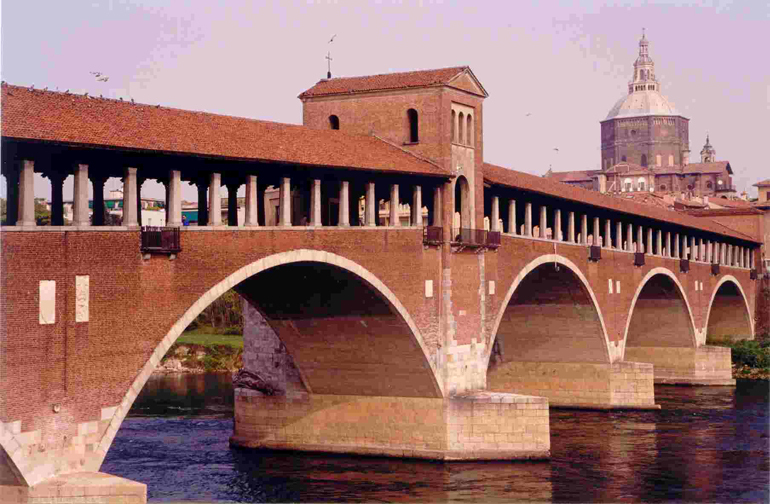 The Covered Bridge is located in Pavia, Lombardy, and connects the historic center of Pavia with the rest of the city that lies on the other side. The river is called Ticino because it comes from the Canton Ticino in Switzerland and it is one of the largest tributaries of the Po River. The bridge has five arches and is covered. When we are walking on the bridge we can enjoy the view of the river and city.